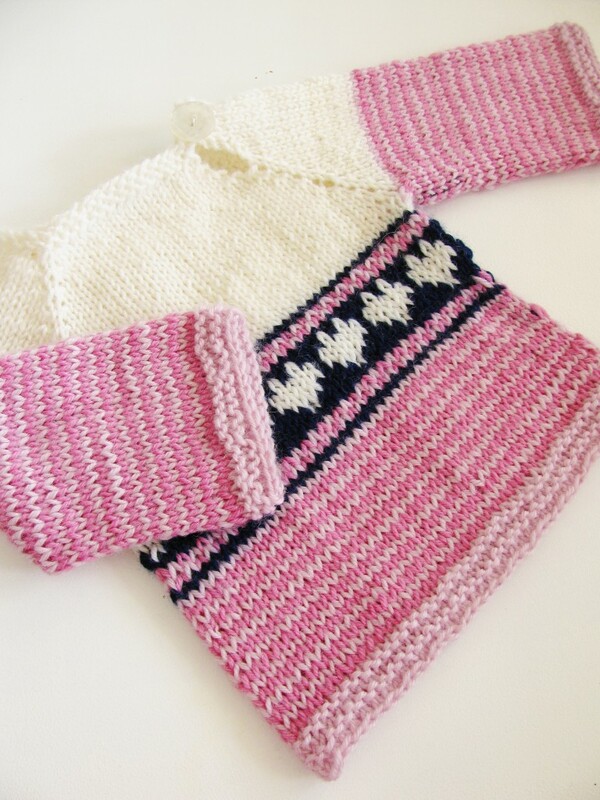 The perfect sweater to use up some of the yarn scraps we all have in our stash! 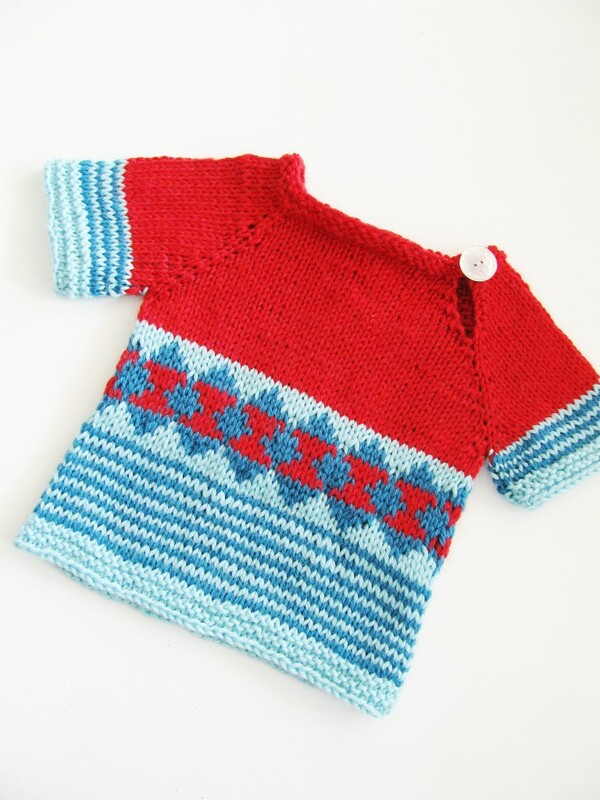 You’ll feel ridiculously good about yourself creating something this cute without a trip to the yarn shop! Knitted seamless and top down, with more than one option for the body pattern. Note: Some sizes share chest measurement, but size differs in the yoke. Choose the one closest to the little ones age. 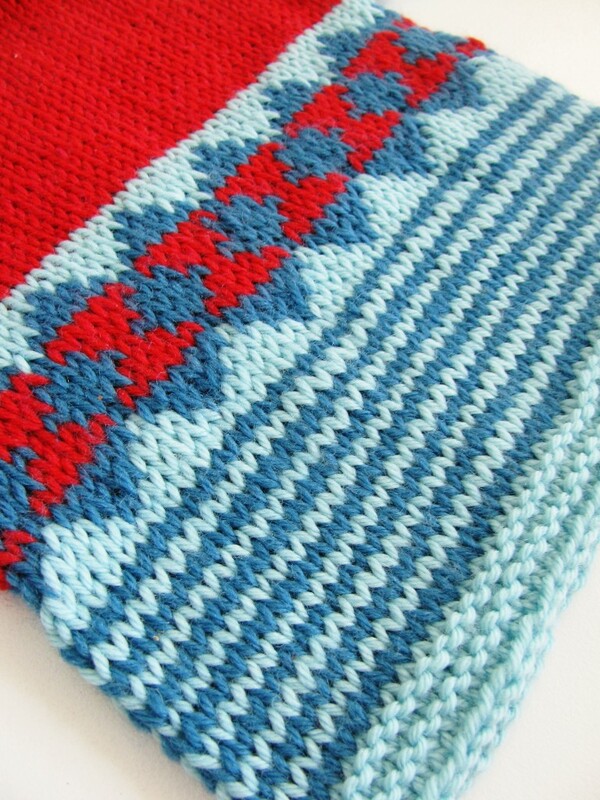 Gauge – 5 sts and 6.5 rows /inch in stockinette. Appr 50/60/70/80 (100/120/140/160) meters of CC1. Appr 30/35/45/60 (70/80/100/120) meters of CC2. Appr 70/80/100/120 (140/160/180/200) meters of CC1. Appr 55/65/80/100 (120/140/160/180) meters of CC2. Appr 15/20/25/30 (40/50/60/80) meters of CC3. 4 mm knitting needles, or size to get gauge. 4.5 mm knitting needles, or size to get gauge.